Home-Cooked & Handmade: Why a Another Cooking and Craft Blog? 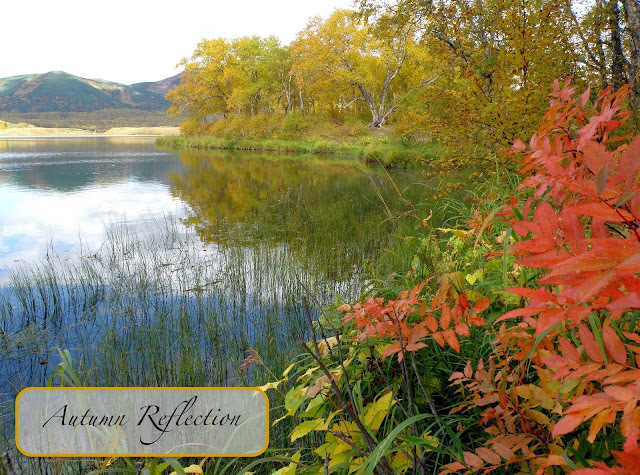 Fall is a wonderful time to reflect. Today I ask the question, "why another cooking and craft blog?" Well, the answer is simple: I enjoy cooking and making crafts and find both topics very easy to write about. Not only that, this blog provides both you and me with a record of all the things I've done. It's all there and easy to access. Sometimes I want to repeat a craft or recipe and, click, there it is. Totally practical. Besides, I can reminisce about all the fun things I did through the years. Having a record in words and photos means more and more the older I get (and I'm not quite 40 yet!). It's totally worth the effort! There are other things I like as much or even more, but have a hard time opening myself up to everyone about. For example, I am very interested in spiritual things and have spent years of my life researching the depths of Christianity and other spiritual heritages. I learned a lot and have quite a few opinions. But writing about those things feels so vulnerable and I tend to be a bit of a closed book. It may be time to change that, but not today! I have private journals where I have worked through some of my biggest struggles. I have pages and pages of spiritual discussion with myself. Because of my faith background, I feel unable to be vulnerable with everyone in those areas. I'm honest when people ask me, but putting it out there permanently takes a bigger commitment. I also really enjoy science. I used to be a biology teacher, remember? I recently came upon one of the best books I've found in a long time. It is a collection of one year's best science writing. It was older and I bought it at a thrift store, but I think I'm going to get the most recent version soon. It's called Best American Science Writing. I've found I like less of the get down and dirty science, but more reading about it and thinking through it. In other words, I would never want to work in a lab. So why not write about science? Maybe I will, but it takes far more effort than writing about my latest craft, and with young children it was more effort than I was willing to expend. Now, though, it's a real possibility. Anyway, I write about cooking and crafts because it's fun, light-hearted and I think it's a great way to leave a record of my times as a stay-at-home mom. I'm not sure how long this season will last, but it's fun while it does! I am participating in The Ultimate Blog Challenge, a way to connect with other bloggers and increase blog traffic. Click the link above or go here to the Facebook group. It's a great way to bring your blog to the next level! Write about what you enjoy. Thanks! I enjoy so many things! Maybe I just need a couple of blogs. I can never get enough Cooking and Recipes blogs because I can't do either well I can live through all you do and pretend I could do it as well. There can never be enough craft blogs. I particularly like that you include crafts aimed at having fun with children. In this day and age they get too much visual and not enough hands on stimulation. Thank you. My kids love crafts and cooking. You have to love what you blog about! I look forward to seeing what you post coming up! I agree. I think I may just need a second blog and keep this one going as well. I"m always looking for new recipes and craft projects are so fun to do plus make great, one of a kind unique gift. I hope I can help with that! You can browse my pages and see what you can find. I think that's a great reason for your topic choice. I started my gardening blog the for the same reason. Unfortunately I started keeping it on a third party site to get a bigger audience and that site disappeared. I have copies of the text, but it's a pain to move and get the photos back in the right place. Someday. Oh no, that's horrible! This is blogger. I'm hoping that never happens to me! Lovely blog and I like the autumn picture above. Such a beautiful place.